With all our products manufactured to the highest quality standards we are confident that you will enjoy many years of excellence. We offer all our customers a guarantee against defect from the date of export from our factory. This warranty shall apply only when the solar thermal collector(s) or solar water hearter is installed in accordance with local plumbing and building codes, ordinances and regulations, and good industry practices. 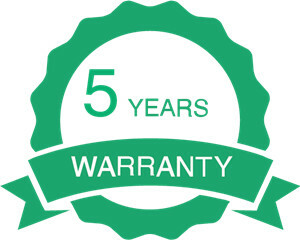 This warranty does not cover defects or damages resulting from accident, inappropriate physical or operational environment, freezing, scale, corrosion, failure of electrical power, improper installation, maintenance, service, repair, transportation, storage, modification, operation, use, negligence or fault by any party other than warrantor. In no event shall the warrantor be liable for special, incidental, or consequential damages, or for damages arising out of the inability to utilize the solar thermal collector(s) for any purpose whatsoever.